A former militia officer has testified he left the group following a mass shooting at an Orlando nightclub out of concern some of the other members were plotting to attack Somalis in their small Kansas community. Brody Benson took the stand Monday in the trial of Gavin Wright, Patrick Stein and Curtis Allen. 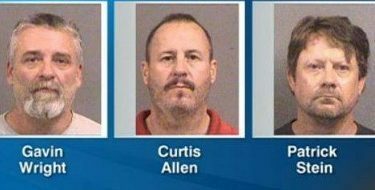 They’re charged with conspiracy to use a weapon of mass destruction to detonate truck bombs in Garden City. Benson said he didn’t want any part of it.